Looking to stay downtown to see Tacoma Art Museum, the Museum of Glass, the Bridge of Glass and LeMay - America&apos;s Car Museum, while enjoying the convenience of the free Tacoma Link light rail? Hoping to find a hotel near the Greater Tacoma Convention Center for business? Seeking affordable accommodations near the Tacoma Dome, the historic Pantages Theater or the Rialto so you can follow up the show with a night on the town? 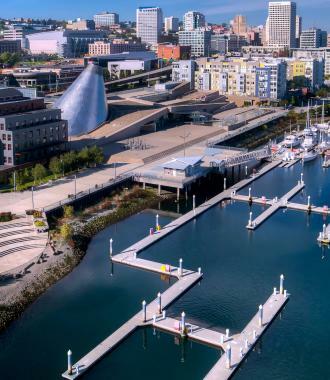 Heard about Tacoma&apos;s stunning waterfront and want to make a weekend of it? From glass-art-themed boutique hotels to hotels near the convention center or right on top of the water, check out the hotel options available below, and start your Tacoma adventure.